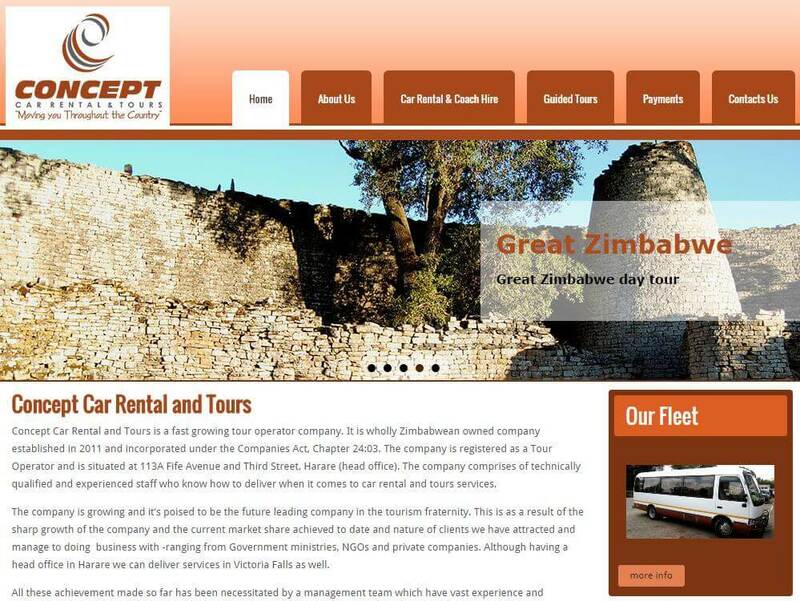 Concept Car Rental and Tours is a fast growing tour operator company that is wholly Zimbabwean owned and registered as a Tour Operator. Concept Car Rental and Tours wanted a website to represent their business online. In addition they needed to showcase their tour packages and car rental fleet to their prospective and current customers. The final result was the Concept Tours website.